This statistic displays the number of apps users had on their smartphones in the United Kingdom in 2013, by user age. 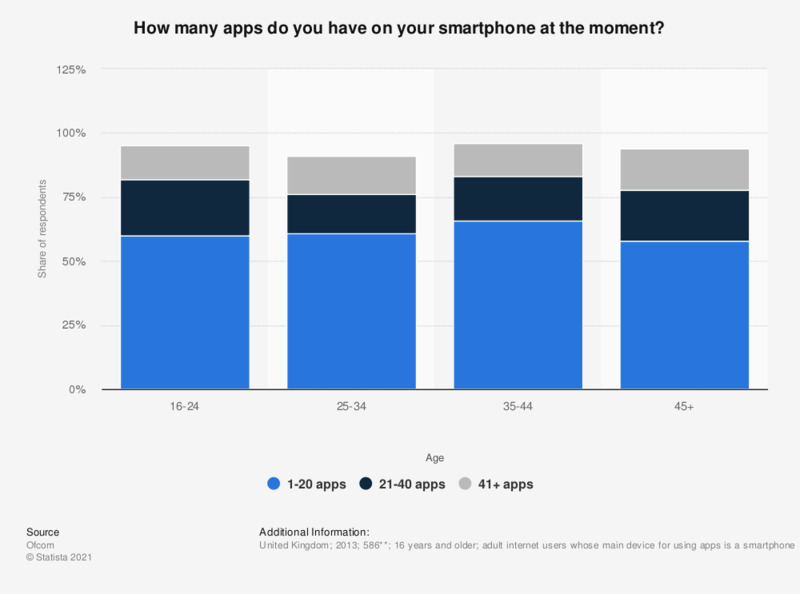 In 2013, 66 percent of smartphone users aged 35 to 44 reported having 1 to 20 apps on their device. ** n (16-24) = 153; n (25-34) = 147; n (35-44) = 141; n (45+) = 145.